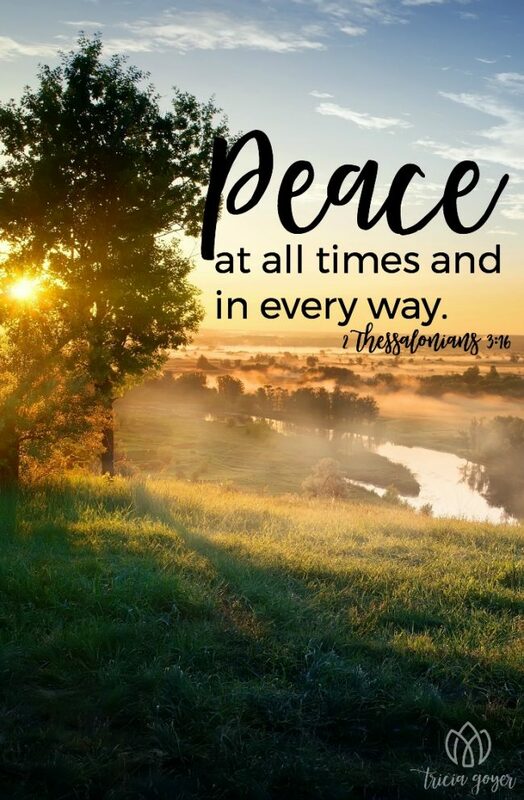 I thank you that you’re the Lord of peace. When I turn to you, it doesn’t mean all my problems will be solved immediately. When I turn to you, it does not mean I’ll have all the answers to my questions or that my worries will vanish like the morning dew under the sun’s rays. Instead, peace comes from within me as I remember that you love me completely, and that you are in control. When you come in my needy moments, you give peace at all times and in every way. Jesus, I declare you as my Lord, and with you I find calm and peace. Today—this moment—I choose to look to you, instead of focusing on the people and problems that hound me. Even during times when you take me beyond my comfort zone and peace is hard to find, I know that you are with me still. I also know that when I choose to rejoice in all circumstances, I’m actively choosing to focus on you. I know, Lord, that it’s through the praise from my parched lips that you draw me to you, bringing your peace again, and again, and again.